Holds one each handcuff (not included). 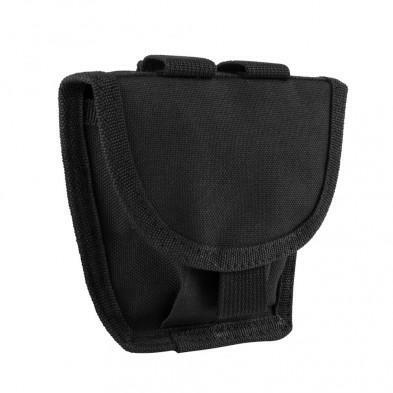 Hook and Loop Flap with pull tab secures handcuff in the pouch. Has two MOLLE straps with metal button snaps to secure onto PALS webbing gear. 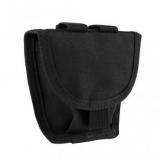 Pouch has 2.5" Belt Loops sewn to each side to secure onto a belt. Made from durable PVC material.